I held two machine shop classes for Paideia 2015 and had good groups for both sessions, 11 for the first and 9 for the second. Each student worked through a series of steps to make a finished part that, while not all that useful in itself, was a testament to their newfound shop skills. The part was based on one I made at Mount Hood Community College where I both took and then taught machining classes and it emphasizes layout, drill press use, and hand tapping and threading. Here’s a 3D image from Solidworks. 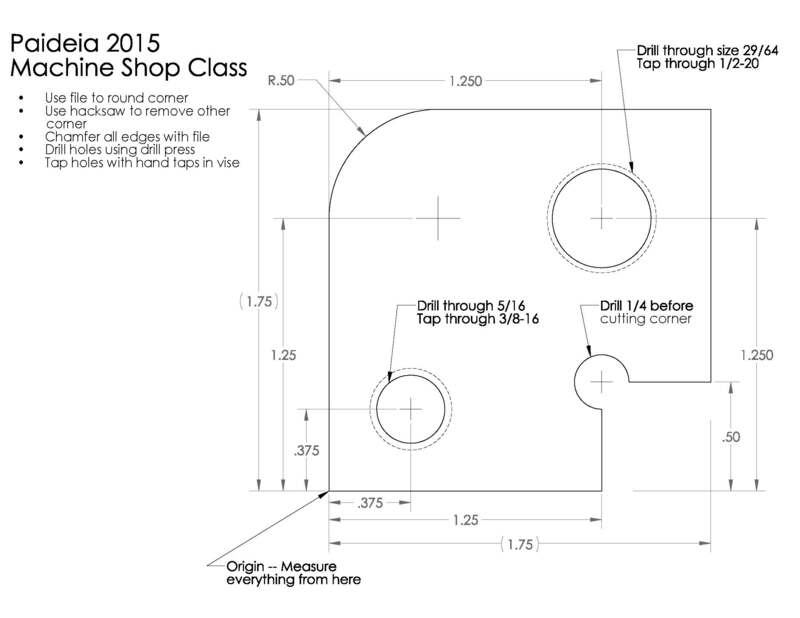 Here’s the blueprint the students were given to guide their work when making the part. After a short talk outlining safety considerations and a description of the part we were going to make I walked the students through the process with parts I’d partially finished beforehand showing each step in the process. The blue material that’s painted onto the aluminum is called Dykem Blue and it’s the industry standard for marking metals. After it’s painted on and dries you can scribe lines into it for relatively high precision layout without really scratching into the surface of the metal. It stains everything and, after warning the students not to spill it on anything (they didn’t), I spilled it all over the floor leaving a giant blue splatter. 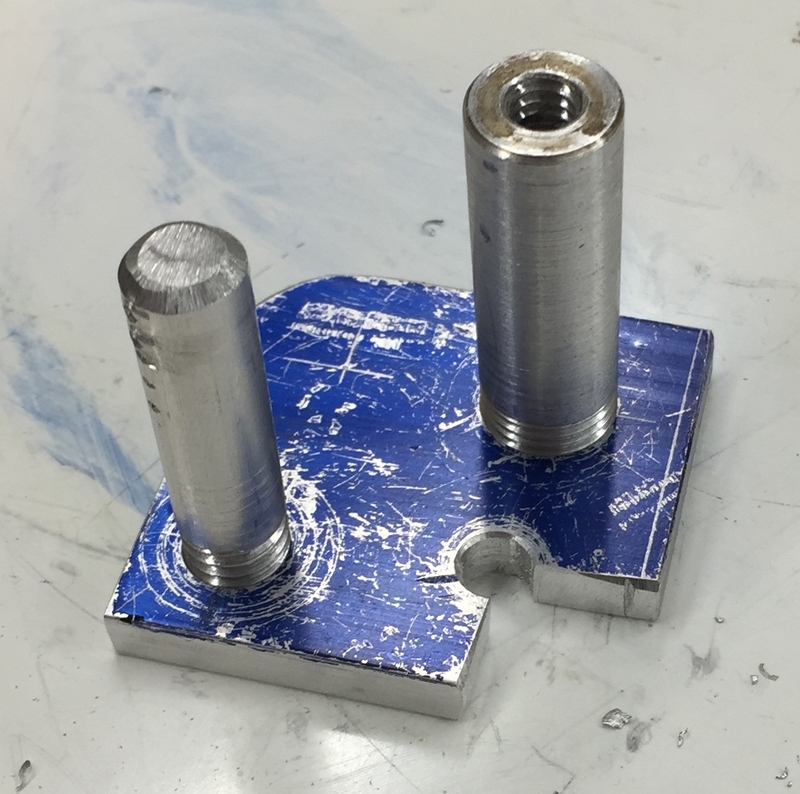 Some students finished early enough to make some threaded rods from short pieces of aluminum so they could thread them into the threaded holes they made in their part. All in all everyone was very safe with the tools and the parts came out quite good. The drawing doesn’t call out any tolerances so no one was held to pass/fail grading (as would be the case in a machine shop) but many would have passed just fine with reasonable tolerances. I’m looking forward to getting more classes going during the term and to Paideia next year too. Although the laser cutter is technically part of the Fab Lab (see the Fab Lab blog here or join the Fab Lab Mailing list here) I use it nearly every day for machine shop projects. It’s so amazing to be able to draw a part up and have it made in just a few minutes. In that amount of time I couldn’t have even gotten a part properly set up on the mill. Get more info about our laser cutter and see some laser cutter projects at the Laser Cutter Fab Lab blog post. Here are some photos of projects I’ve used the laser for in the past couple months. 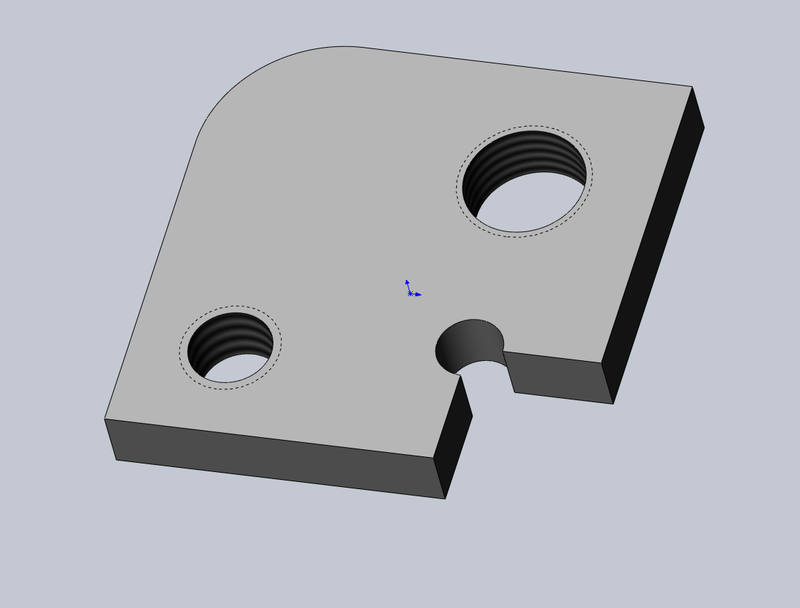 These are Machine Shop related projects, oftentimes part of student thesis work. Optics mount for physics thesis. 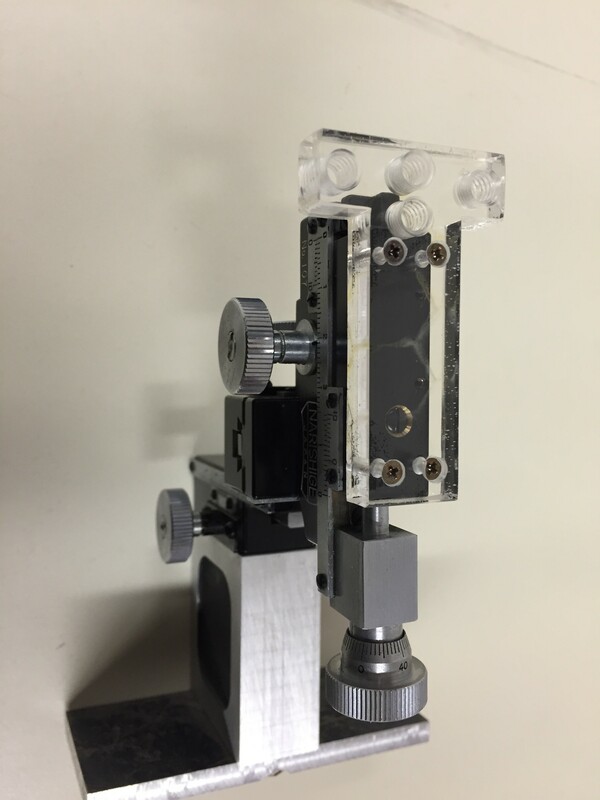 The acrylic mount was designed to mate to the micrometer assembly and interface with the students other optics components. The top and bottom acrylic plates on this stand for a muon detector were cut on the laser cutter. 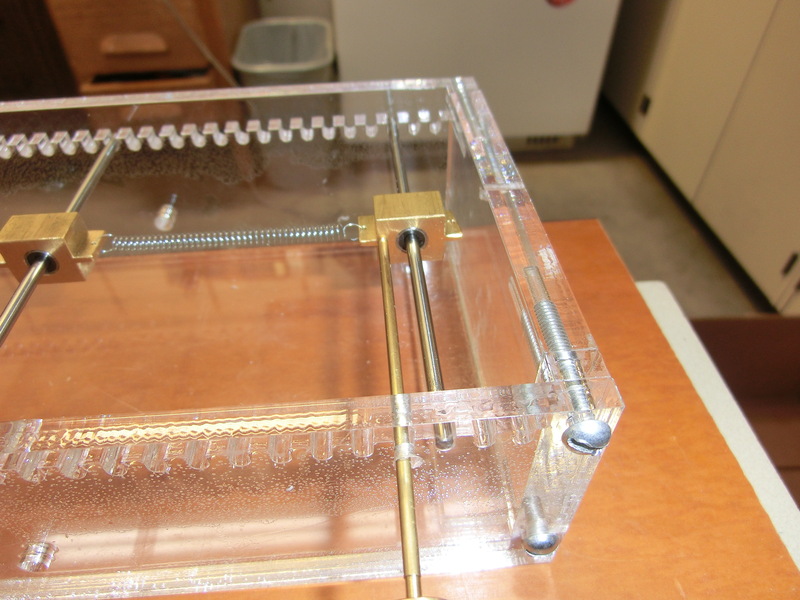 We used two layers of acrylic on the top and bottom to stiffen the assembly since the detector weighs about 40 pounds. 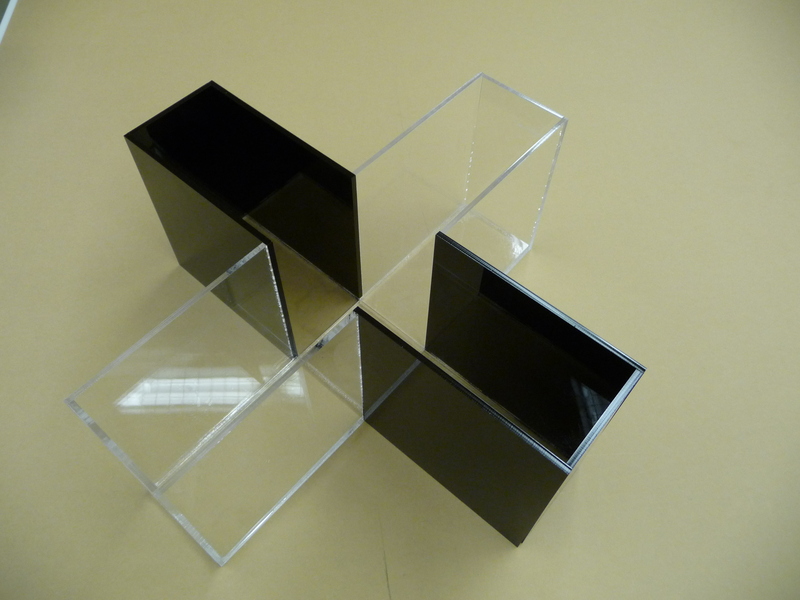 This acrylic plus maze was made for use in a Biology class for use with crayfish! The laser made cutting the parts easy and repeatable. 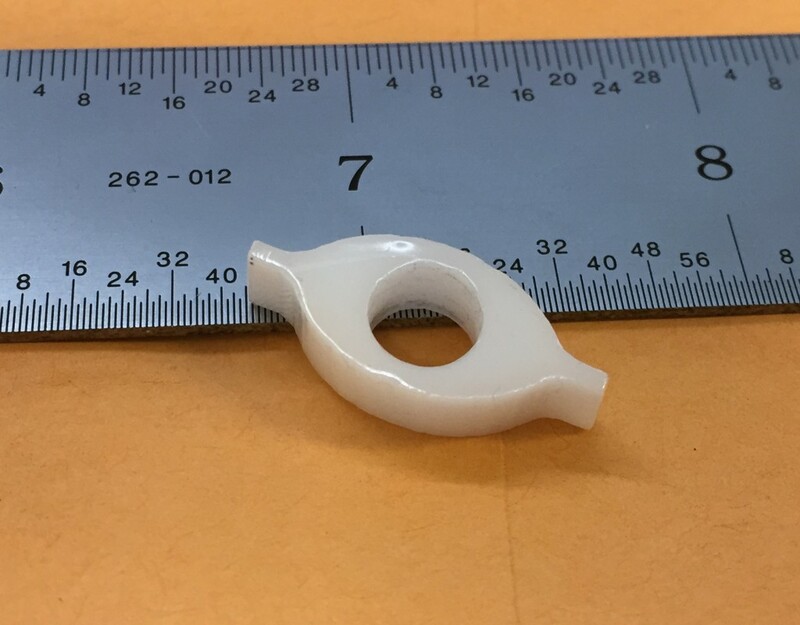 This tiny part, about 1 inch long, was made using the laser and will be reamed to size to accommodate a tiny linear bearing. It’ll be used in the weighted experiment shown above. Although the projects I’ve shown have all involved acrylic it’s possible to use all sorts of different materials in the laser. Acrylic is the most useful for most of my projects, especially science-related projects. 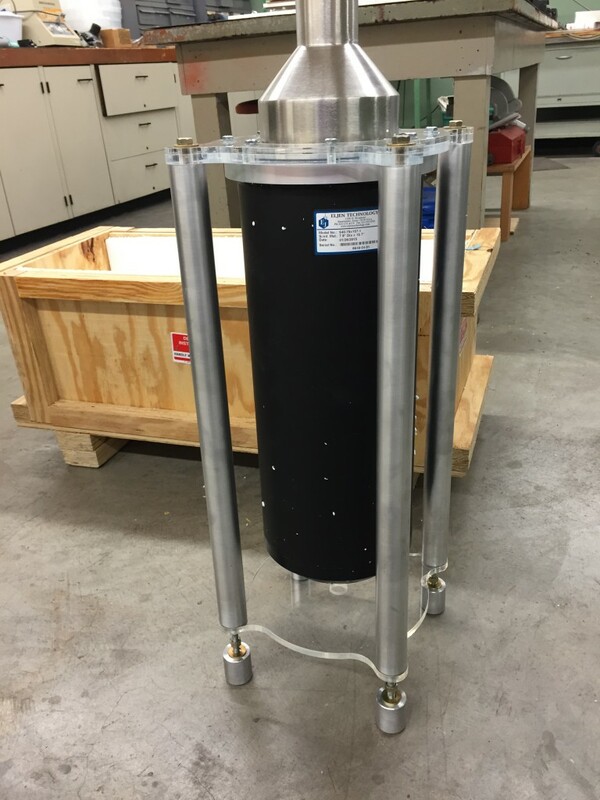 I’ll continue to highlight the role of the laser in future posts about what we do here in the shop. The laser cutter was purchased as the foundational piece of equipment in what will eventually become the Reed College Fab Lab. The goal is to eventually create a space where both curricular and non-curricular activities can take place utilizing digital fabrication technologies and concepts. Eric Franklin from Art and I are in charge of the laser and coordinate training and usage. We’re happy to work with any faculty, staff, or students who have interest in using the laser. Welcome to the Physics Machine Shop Log. I’m Jay Ewing, the Machine Shop Supervisor, and I run the machine shop in the subbasement of the Physics building. I’ll be using this blog to share shop projects, events, and opportunities with the Reed community. I’ll try to keep it interesting with lots of photos and as much intrigue as an underground machine shop can muster. The Moodle page will be a repository for drawings, designs, and other materials that might be useful for people interesting in using the shop. Over the course of the next few posts I hope to lay out some of the vision for the shop, what we’re doing and who we serve, and how things work down here. Please don’t hesitate to contact me if you’ve got questions about the shop or would like to visit.